Sometimes the simplest things can open the door to a village child’s education. 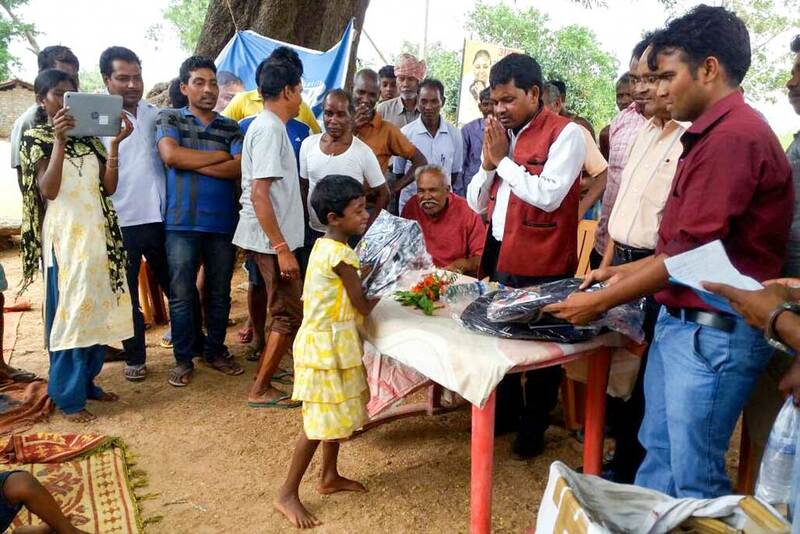 In Devgain, Jharkhand, AmritaCREATE has just completed another such event where school bags, books, and stationary were distributed to students. The chief guests for the event were MLA Ramkumar Pahan and Satish Bhargavji. Combining these items with modern tablet technology, AmritaCREATE is finding ways to support education in places with low electricity and limited internet access. Along with the usual school work, AmritaCREATE teaches the children yoga and meditation, health issues, and social awareness. They also involve the community in awareness for girls’ education, the benefits of delayed marriage age for adolescent girls, and how active community involvement in education can make learning sustainable and self-reliant.